Sample USDINR Chart with 90 min timeframe is shown below. yesterday i am asking rajendra sir about 90 min chart setup and he replied in only one hour . we are so lucky that we have guied like rajendraji. Any one knows how to write an afl to plot say 25% above and below a particular moving average? For example 5sma and for this plot a line say 20% above and below the 5ema, user must be able to modify. Thanks. pls check the video and is there any AFL available. 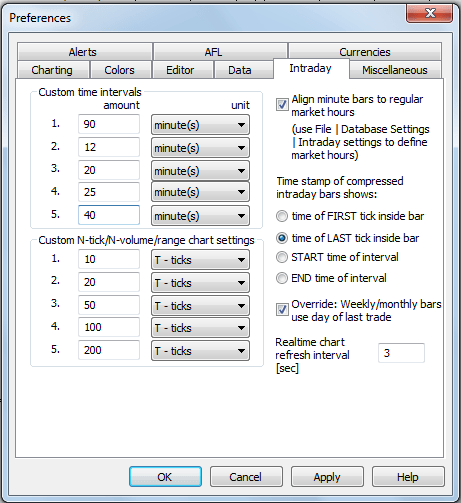 How to use 4 Hour data in AFL… is there any way for that?